Tiny bathrooms work if you can make the most of the area. If you find it hard to move around and have poor storage, it’s time to rethink the space. See if you have these things that take up so much space in your bathroom. Remove and replace them with something better. Problem: Chunky freestanding cabinets and pedestal sinks occupy so much floor space. 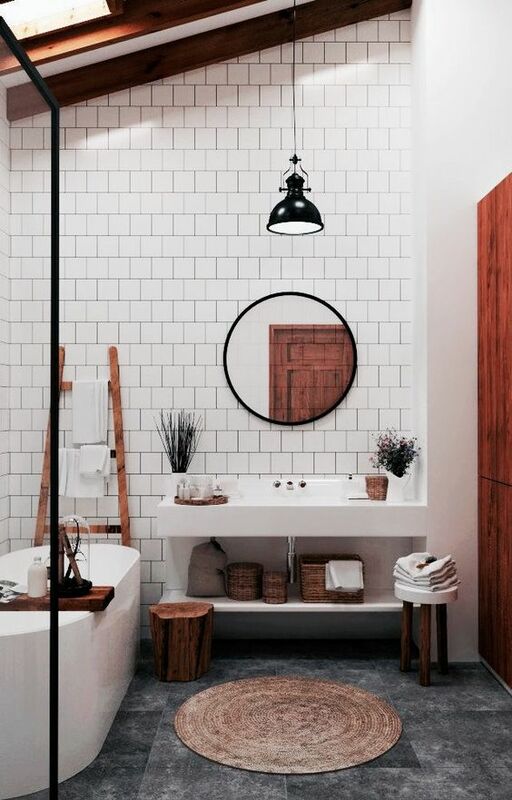 Solution: Consider wall mounted or floating vanity designs as an alternative. The void underneath the storage makes the bathroom roomy. It also provides enough cabinet space for your towels and toiletries. If you want extra storage, install slim cabinets or build modest shelves above the sink. Problem: An inappropriately placed tub makes a tiny bathroom feel more cramped. Solution: Sometimes, ditching the tub is the best choice to make. Build a shower with a frameless glass enclosure. Keep the space simple, neat, and streamlined. If you can’t imagine bathing without a good soak, consider Japanese-style soaking tubs. It’s smaller and deeper compared to the Western bathtub designs. It has a small bench inside for you to sit on while relaxing and warming yourself. 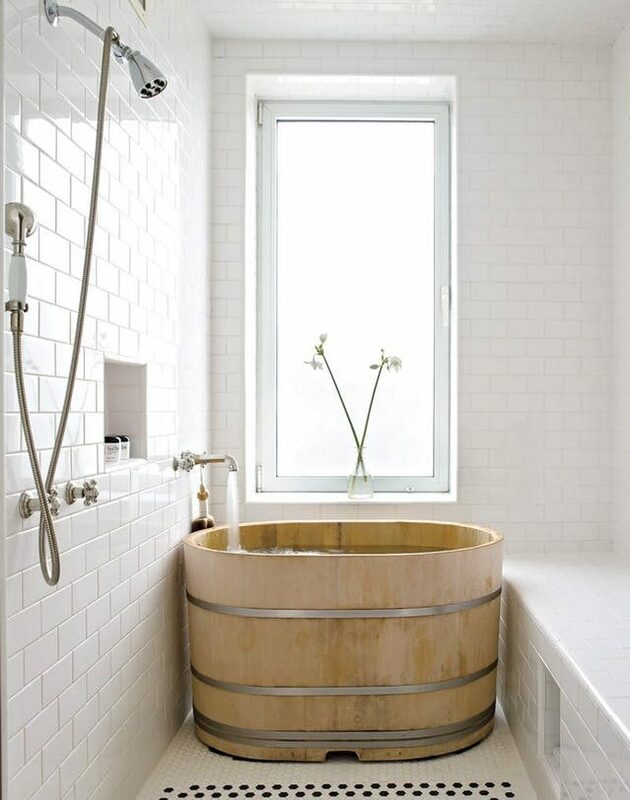 These tubs are the new “rave” for small bathrooms because it gives the space a spa-like design. Problem: Opening doors take up space. 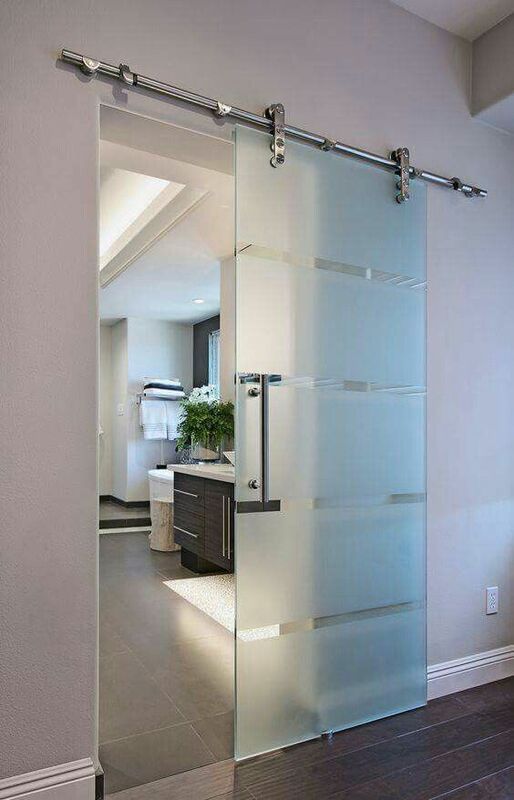 A single-hinged door that swings into your tiny bathroom limits the things you can do inside. Solution: Explore other door designs. Sliding and pocket doors are huge space savers. It won’t impinge your space and will give you more room for your furniture. Unfortunately, it doesn’t allow the placement of hooks or towel rails behind the door. Problem: The unused stack of towels is a clutter that takes over your bathroom. Solution: Hide the extra towels in a separate storage outside the bathroom. Only display the bath linens you use on a daily basis. Place them in your cabinets. Use matching pieces for a more streamlined look. Problem: Half-empty bottles and packets of toiletries clutter your cupboards and shelving units. Solution: Store all the extra shampoos, soaps, toothpaste etc. somewhere else. Leave enough supply of each one for everyone. It’s also nice to store them in identical baskets or dispensers inside the bathroom. Problem: Laundry baskets stationed in the bathroom takes up precious floor space. Solution: Relocate them somewhere else. It’s wiser to place them in bedrooms or in the laundry area. 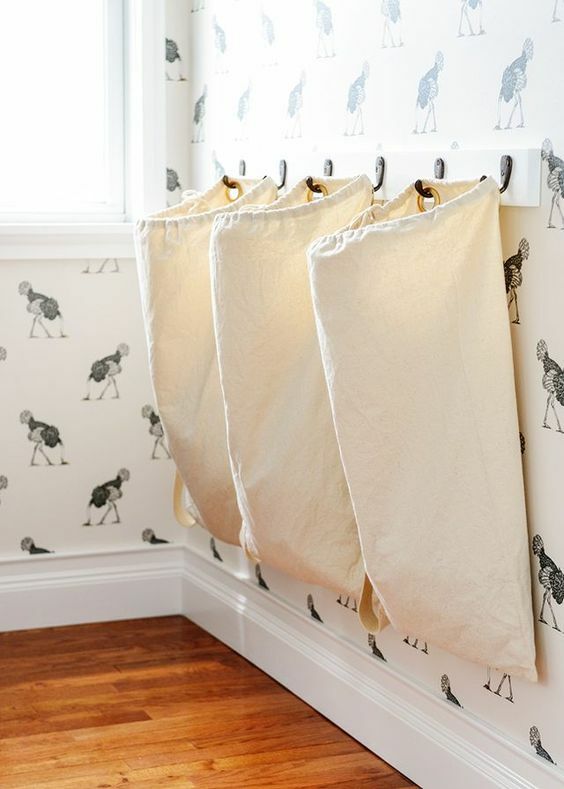 Use classy laundry chutes and containers that help organise the dirty clothes. Problem: Big heated towel rails warm the bathroom and dry your towels quickly. But, it needs a large wall space. This might not be wise if you have a small bathroom. Solution: Assess your space. If you can use your wall space for other things, do not install huge towel rails. 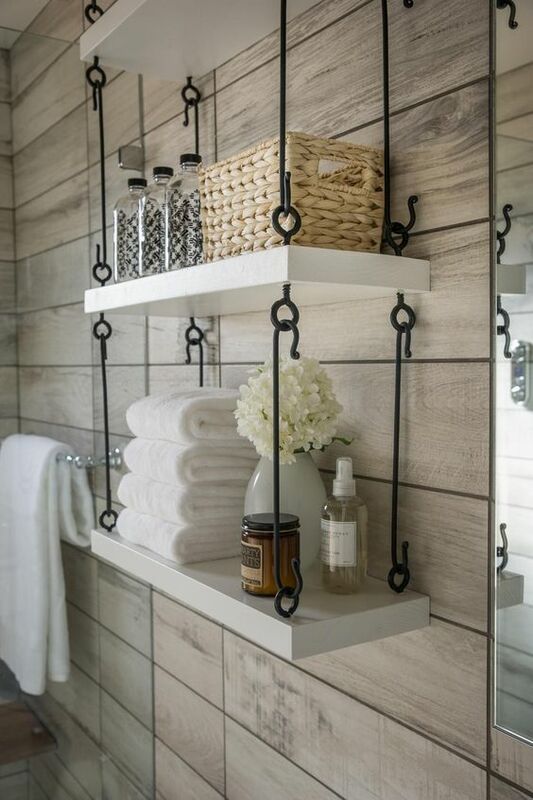 Go for the smaller models that you can fit on the wall near the tub or shower. What if your tiny bathroom has an awkward shape? With proper planning and design, you will not waste even an inch of space. 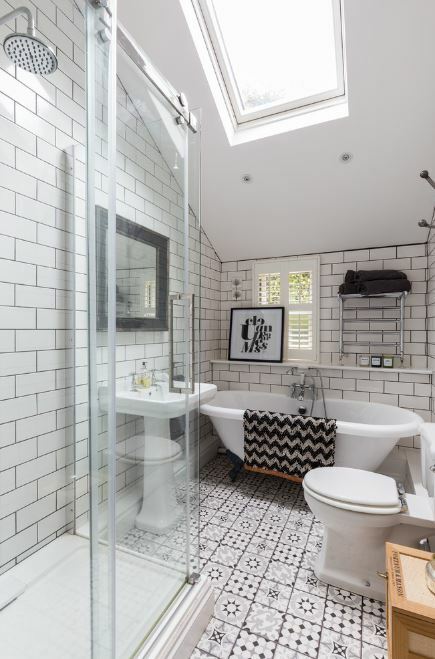 If you’re not sure how to do it, it might be worth calling in a bathroom designer to help you with the design.